Facebook Ads - Attract More Patients / Clients Today! Facebook is where your patients are! You can efficiently target people in your local area making Facebook Ads useful for local practices. Facebook advertising is that it is one of THE MOST cost-effective ways to get your ads in front of your local community and target audiences. For healthcare practitioners, Facebook Ads opens up so many new opportunities for your practice including greater brand awareness, ability to reach new patients and improve service delivery. Facebook Ads can play a complementary role in delivering effective patient-focused care by educating your client’s / patients around your services, conditions, or factual information relevant to your field. Whether you’re looking to take your first dip into Facebook Advertising or want to move away from traditional advertising and focus on everything Facebook Advertising has to offer, we’d love to partner with you and manage this process – contact us. Leave the advertising to us and allow us to achieve your advertising objectives, improve the return on your advertising spend, and help to scale your business. We will put together your Facebook Ad strategy, plan the advertising message and imagery or video, and commit to ongoing attention to your ad to ensure best results. If you need to promote something specific being a seasons message or announcement of a new doctor or service, we can craft a Facebook Advertising campaign and manage the process for you. Depending on the competitiveness of your industry or the number of advertisers bidding for the attention of your local audiences, means the average cost-per-click will continue to vary. We recommend our Facebook Advertising clients budget at least $15 + per day for their click-cost budget. If you feel $15+ a day is a little pricey, it’s worth considering how much one new patient is worth to you. For example, a new chiropractic patient may be worth $80 a consult, so paying $5 per click so they become aware of you and book an appointment is a good return on your advertising spend. Want to learn more? 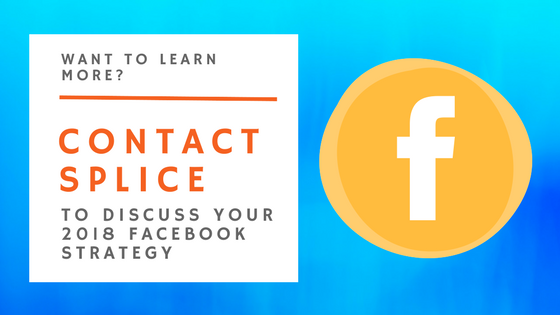 Request a callback and one of our Facebook Ad Experts will call you shortly. Engagement on a Facebook Ad for a Physiotherapy client of Splice Marketing. We have a team of social media experts who specialise in Facebook Advertising for those in the healthcare and medical industry. For over four years, we’ve been testing, perfecting and finding the winning Facebook Ad strategies to ensure health professionals and businesses are increasing their local brand awareness and attracting patients for the right reasons while remaining compliant with industry rules and regulations. Our experience has resulted in numerous new patients/clients for our surgeons, medical specialists, doctors and allied health professionals and at a much higher return compared with other forms of advertising spend. Any health professional can run Facebook Ads. The difference between you doing it yourself and engaging an expert is that the social media marketer knows what needs to be done to help your ad succeed – ad objective, targeting, placement and bid strategies to name a few. We go deeper than just hitting that boost button on your Facebook posts. Our Social Media Experts will craft a smart message for your ad, one that will resonate with your target audiences so that they stop, pay attention and engage with your ad. An expert will be on your ad account almost every day tweaking various elements of the ad to ensure it performs at its best. An expert has learned what works and what doesn’t work when it comes to Facebook ads saving you time and money in the long-run. One step further, if you partner with us at Splice Marketing, because we are a healthcare marketing agency, you can rest assured your ads will perform well and remain compliant with AHPRA and other regulatory guidelines. Our Marketing Director, Ellie, has been invited to present at various healthcare conferences on the topic of Facebook Advertising and Social Media Mastery. She has taught many health professionals how-to run Facebook Advertising as well as highlighting the value and benefits of partnering with Splice Marketing for their Facebook Advertising.